In my mind "living fossils", those organisms found as fossils and yet morphologically very similar to living organisms, are profound observations that present major problems for evolution. 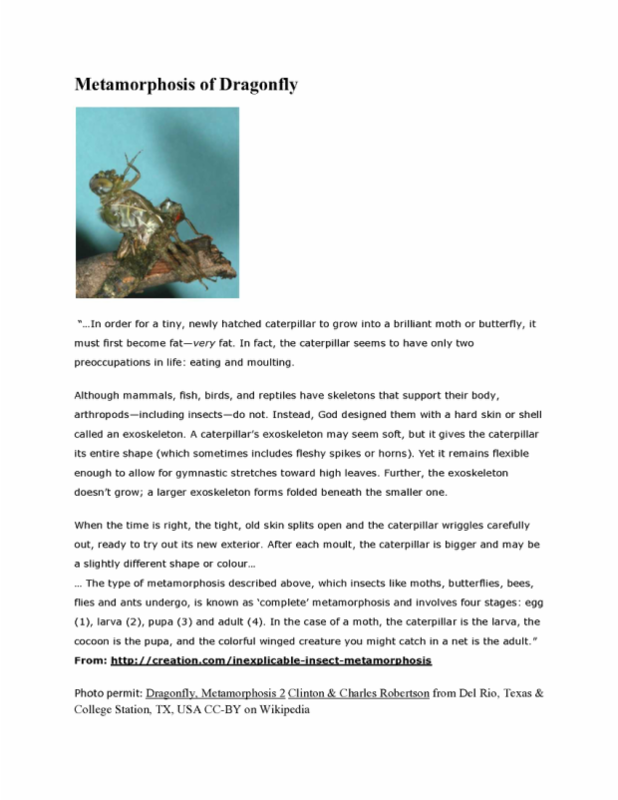 A fragile dragonfly unchanged over 200 million years-how? What about gene mutational load? Evolution would suppose that by "natural selection" those weaker, debilitated and mutated dragonflies would perish, and that mutated dragonflies with supposed helpful mutations would have further "advanced" towards another form of life. But how does one explain the observed stasis-it argues directly against gene mutational load (which is observed) occurring over time. Of course, conjectures can be made about how isolated populations were preserved and did not mutate-but it is pure conjecture and not consistent with what is seen (observed isolated populations usually build up mutations more quickly-due to inbreeding), and as a past event is non-testable. Again, conjecturing does not explain how these organisms were not affected by observed gene mutational load (seen currently) over supposed vast periods of time. Evolutionists make many assumptions that are non-testable but fit their worldview (not a theory). It may not be stasis at all. 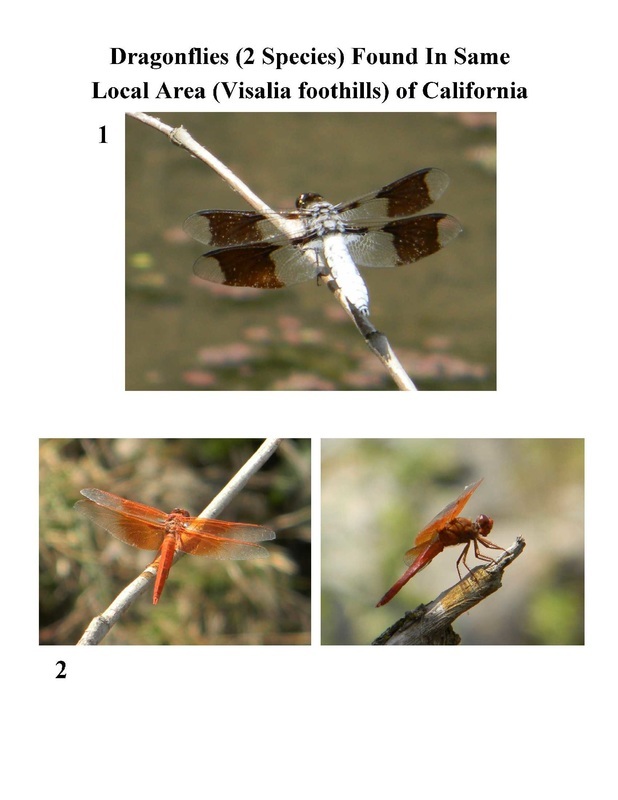 There are many problems with dating the age of the earth (see geology section) and Jurassic dragonflies may not be 200 million years older that current ones. Compress the time and stasis is no longer stasis and the data has a more reasonable explanation. Variation is yet another problem for evolutionists. There are wide morphological differences in many different life forms within a given group (living and fossil), yet no empirical data exists to demonstrate one life form progressively developing into another group of life forms-even with such wide variation occurring within groups. Accelerating mutation rates among "simple" life forms, like bacteria, does not produce new life forms only variation (much of it debilitating). Evolution is not demonstrated by variation. Yet variation, within a given group of life forms, can be an accepted part of a created design concept. 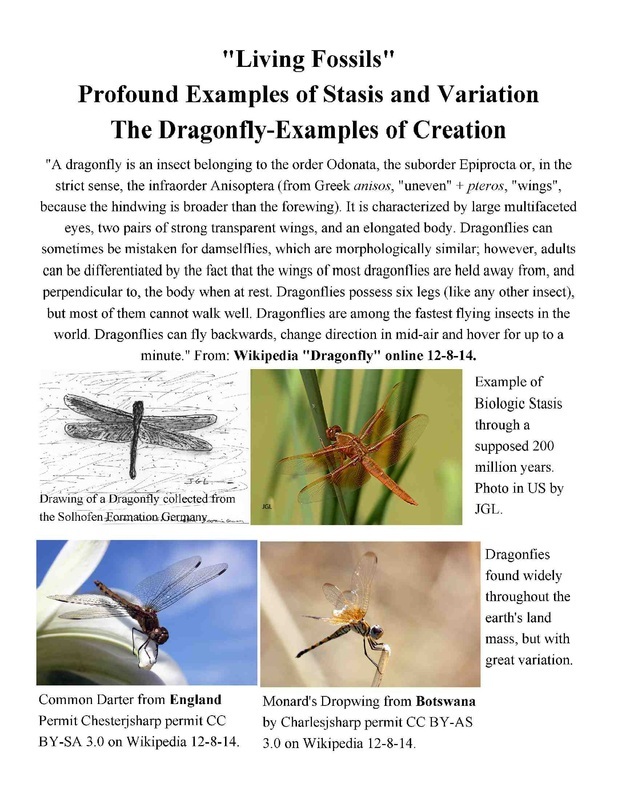 Please note: I am only using secular time to accentuate the broad stasis of dragonflies in time and literal land distance expected using using secular reasoning. This makes it highly unlikely that long ages are accurate and supports the idea of a more recent common land mass. 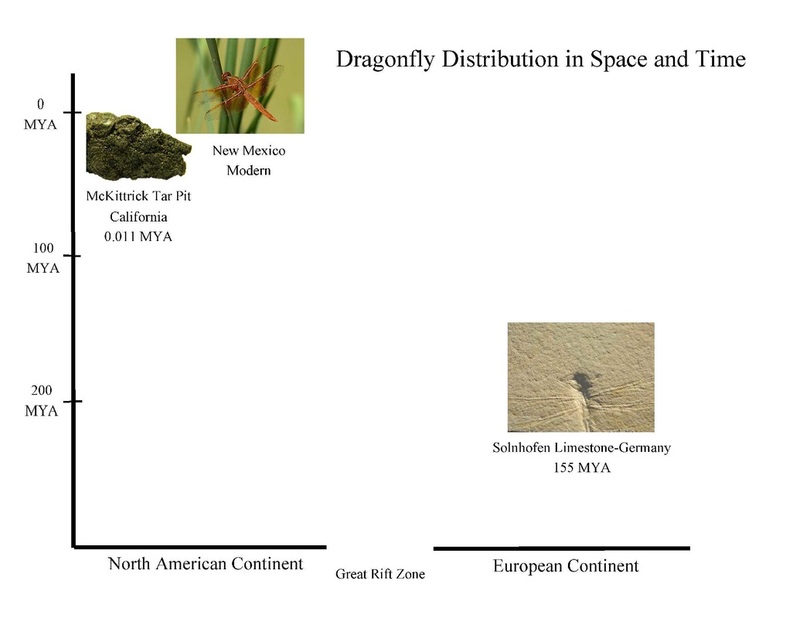 It is noted that some have shown insects can travel long distances.Current time is listed as 0 and years before now as in millions of years MYA. The assumed process of evolution has no explanation for the complexity of the process of metamorphosis. The complexity of programming necessary for the turning on and off of genes that are required for each stage are profound. Any turning on or off of most genes at the wrong time or sequence would result in a disaster for the organism.This does not occur just in insects, supposedly less complex, but another example is the amphibian: the frog. The insert shows the frog still with a tail from the tadpole. This is not a so-called vestigial appendage as it is part of a very precise process of organ development within a given organism. Evidence of Concurrence of Life Forms Arguing Against Progressive Evolution: Dinosaur and Bird Remnants Found Together. "A fossil of the small theropod dinosaur Sinocalliopteryx gigas found in Liaoning, China, was so well preserved that researchers were able to make out its intact stomach contents.1 They were able to see the last thing it had eaten—a bird dinner. 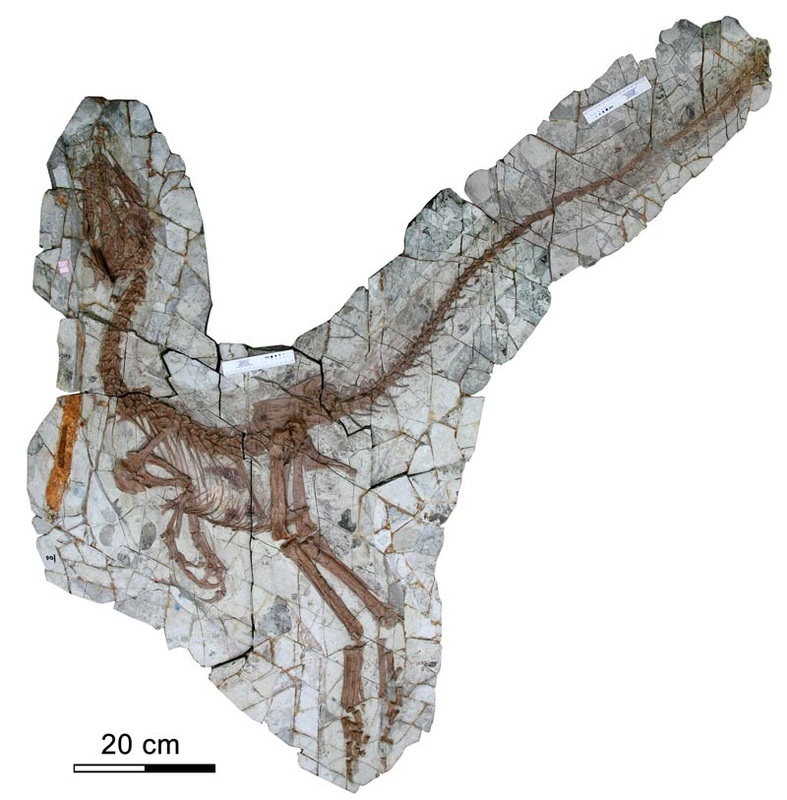 As the bird had only been partially digested (indicating death of the Sinocalliopteryx had occurred not long after its last meal) the researchers were even able to identify the species of the bird: Confuciusornis sanctus." There are several conclusions that are consistent with these findings: ﻿1) dinosaurs and birds lived together﻿, 2) as there were 3 birds in the dinosaur's remains and the bones in different states of digestion and the intact preservation of the dinosaur-it, the dinosaur, must have been rapidly buried just after eating the 3rd bird; 3) these findings are consistent with a large flood overtaking the dinosaur and rapidly burial of it. The arching of the neck is classic for death. With death the muscle groups relax and the ligamentum nuchae contracts, and the neck arches if the animal is in a liquid soft sediment environment. This is consistent with catastrophic watery burial recorded in the Noah Flood Account. It is also consistent with birds and dinosaurs being of separate lineages-not the associated lineages that evolution philosophy requires.Note: Photograph from Xing et al. (2012) PLoS-ONE. Permit for non-profit use (see Wikipedia as well) online 12-9-2014. See Link below for further information. As one who used to be involved in the sequencing of proteins, I find this astounding-as protein and amino acids are so easily degraded. Amino acids and protein supposedly being preserved for 60-80 million years? Then they are basically "so similar...no sign of evolutionary change." As well these organisms are found in "both limestone, mudstone, and sandstone in the (designated) Jurassic and (designated) Cretaceous rocks all over the world." (Wikipedia with my inserts of designated). 3) though to have been living in a marine environment, but now buried in mudstone etc. in the middle of the United States. These observations fit easily within the context of a massive flood in the past,like Noah's Flood, more so than the view of the rising and falling of local seas over vast periods of time. Further comments: 1) The life expectancy is about 90 days, thus replication should have occured at least 400 million to 800 million times, in linear time, of a single group of triops, if the fossils are really 180 million years old. Yet, there are no clear cut transition form fossils. There should be probably billions when one considered how many triops would be exsisting at a given time over the entire globe (living forms are found on all major continents-except possibly South America). 2) If DNA sequencing were possible on some fossil forms, some differences would be expected between the fossil and living form. Among extensive data of living triops there is an amazing amount of homogeneity, yet a worldwide distribution and some grouping of triops in different parts of the globe possible based on the DNA analysis. 3) At present only morphological assessment is possible between the fossil forms and livng forms and there is considerable similarity and thus the term "Living Fossil" which I think is still an accurate discription. 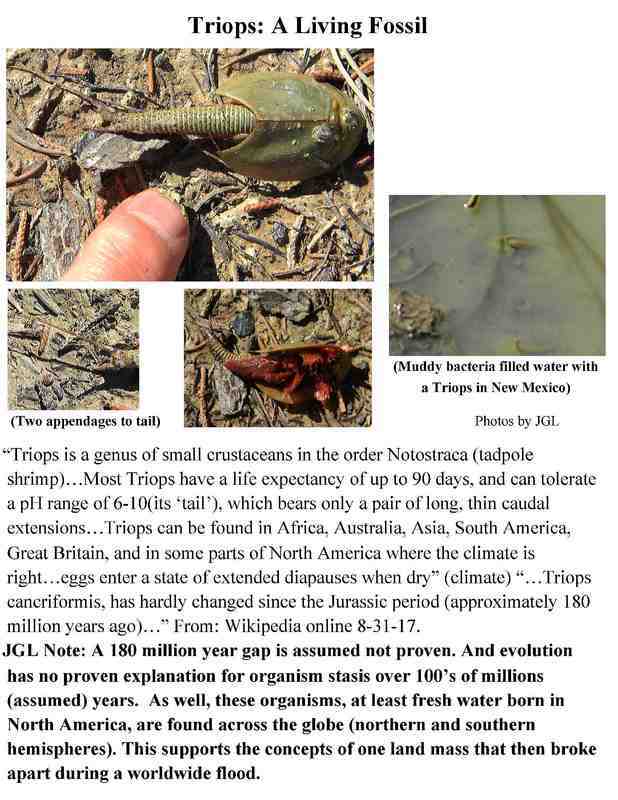 4) Please note that the above Triops was seen outside of Gallup New Mexico USA 2015 after a heavy rainstorm. The elevation is about 6500 ft above sea level. The above information can be put within a young age for the earth and a massive worldwide flood event. See: :http://journals.plos.org/plosone/article?id=10.1371/journal.pone.0034998 for extensive studies on the DNA of living Triops. But, please note that they make the usual evolutionary assumptions about the age of the earth and convergence and divergence of life forms. The Poplar fossil leaf (above right) is an assumed 40-50 myo-probably from the Green River Formation. .
"The Green River Formation, a sedimentary feature of Wyoming and northern Colorado, is widely recognized for its high quality fossils of fish and other creatures. It has been dated at 40 million years and older. What are the odds, then, of original soft tissue fossils being found encased in its rock? A new study showed that a "fossilized" lizard leg found in the formation is not made up of minerals, but instead still has the original skin and connective tissue." See link below.